Text by Huzan Tata. Images by Akshat Nauriyal. If you’ve passed by the Jindal Mansion on Peddar Road in the past week and wondered whether it’s been infested by a giant green mutant, you’ve guessed wrong – that’s just an installation by Filthy Luker, an artist taking part in the St+art Mumbai festival. 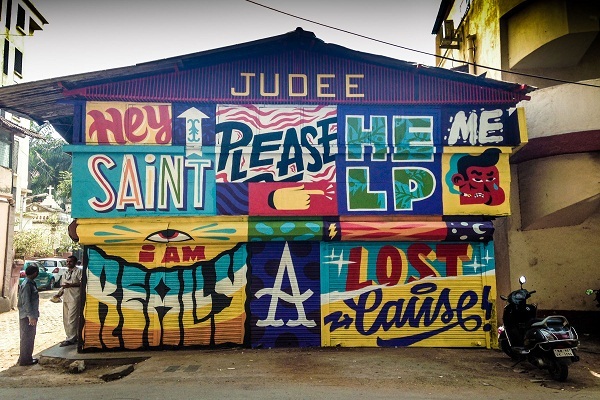 The street art project, hosted by the St+art Foundation, comes to Mumbai after seeing a successful run in Delhi. 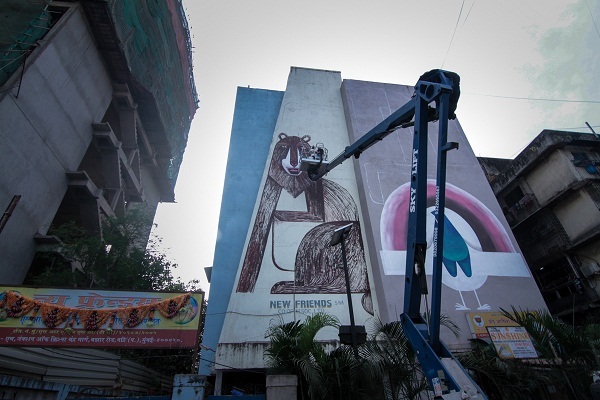 Public art will be seen on streets and walls of Bandra, Dharavi, Kala Ghoda and Versova, including murals and installations. Performances, stencil making workshops, pop-up art exhibitions and street talks, will also keep people entertained during this month-long event. 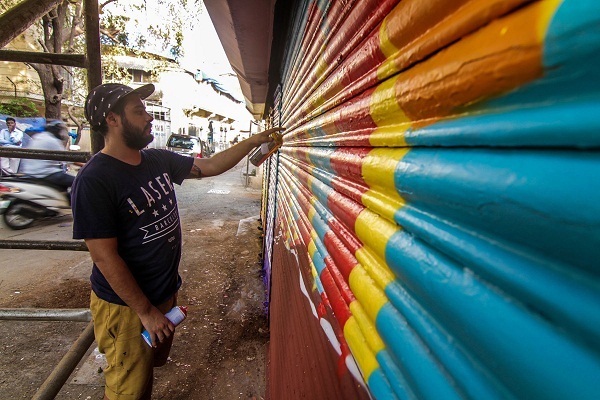 A great way for artists to display their work on a large scale, the festival serves another purpose too: ‘…its main focus is also to change the dull grey landscape of our cities to be more interactive and colourful,’ says a note by its creative director Hanif Kureshi. 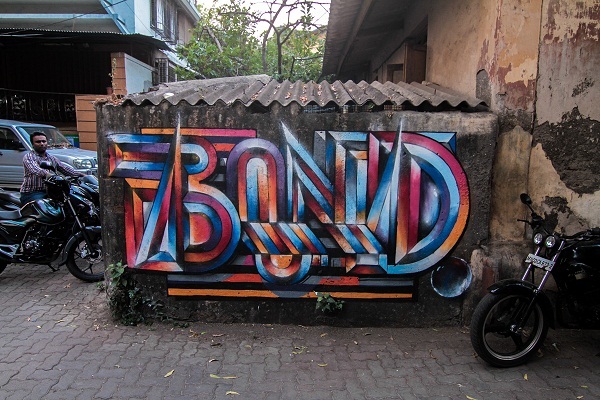 You can see graffiti and wall paintings by artists participating from the world over – India’s Tyler already has 75 works in cities across the country, and German artist Dome’s artwork ‘Coming Home’ graces one of Bandra’s buildings. 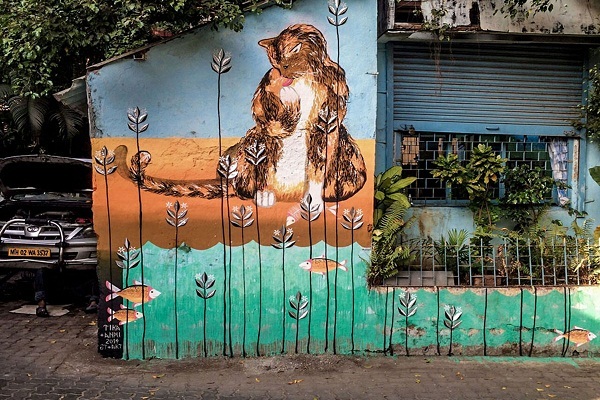 But our favourites include the graffiti on the wall of St Jude’s Bakery (an absolute riot of colours by Portuguese artist Akacorleone), and a cat on a wall in Pali Village by street artists Anpu from Delhi (known for her feline drawings) and Tika from Switzerland. 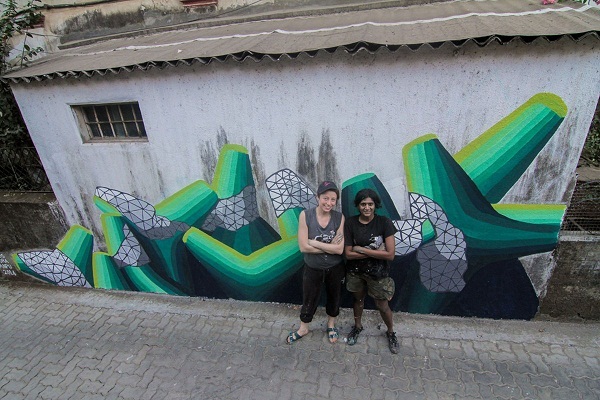 After years of living with drab-looking buildings and empty walls, Mumbai finally has a splash of colour to look out for (including tentacles sprouting from house windows)! ST+art Mumbai is on till November 30, 2014. Exhibitions are open till December 15, 2014.